When you think about fat circulating in the bloodstream, you might immediately think of cholesterol. But there’s another type of fat you shouldn’t ignore: triglycerides. As with cholesterol, high triglycerides can also increase the risk of having a heart attack. Existing drugs for lowering triglycerides aren’t that good at reducing heart attack risk. That’s why a report on a new way to lower triglycerides, published in today’s New England Journal of Medicine, is generating some excitement among cardiologists. Triglycerides are a type of fat that circulates in the bloodstream. After you eat a snack or meal, your body breaks down the fats in the food, packages them with protein and cholesterol, and dumps them into the bloodstream. After an especially fatty meal, triglycerides can be so abundant that they give the blood a milky tint. Within a few hours after a meal, triglycerides have mostly cleared out of the bloodstream. very high: 500 mg/dL and above. “High” or “very high” levels of triglycerides are associated with an increased risk of heart disease. When the triglyceride level nears 1,000 mg/dL, individuals can develop pancreatitis, a serious inflammation of the pancreas, in addition to heart disease. High triglyceride levels also may be associated with obesity, type 2 diabetes, and a cluster of heart disease risk factors known as the metabolic syndrome. Together, these features put a person at especially high risk of heart disease. Triglyceride-lowering drugs have been available for some time. The main ones are niacin and a class of drugs called fibrates. But the effects of these drugs are somewhat controversial. For example, two large clinical trials found no benefit from niacin therapy in preventing heart disease events, even though niacin both lowered triglyceride levels and raised the level of heart-healthy HDL (“good”) cholesterol. Not only did niacin not lower the risk of heart disease, it also caused troublesome side effects, such as flushing of the skin and an increased risk of infections. So, there is reason to be wary about taking niacin to lower triglyceride levels. A large clinical trial of fenofibrate (Tricor, other names), one of the fibrate drugs, showed that it also reduced triglyceride levels, but didn’t lower the risk of heart disease. However, fenofibrate did seem to help a subgroup of people in the trial who had particularly high triglyceride levels and low HDL levels. In the report in The New England Journal of Medicine, an international team of researchers describe a new therapy for high triglycerides. It involves a weekly injection of “antisense oligonucleotides” (ASOs), pieces of DNA that short-circuit the liver’s production of triglycerides. The new report shows that ASOs can reduce triglyceride levels by as much as 70%. Keep in mind that this was a phase 2 trial, which is designed to test whether a drug does what it is supposed to do (in this case, lower a person’s triglyceride levels). Larger, longer-term studies will be needed to see whether ASOs actually reduce the risk of heart disease, and what sorts of side effects they cause. Many experimental medications that sparkle in early testing never become FDA-approved drugs. We won’t know for several years whether ASOs will become available for individuals with high triglycerides. Unless your triglycerides are extremely high, lifestyle changes are the best place to start. These simple steps can significantly lower triglyceride levels. Beware of bad fats. Cutting back on saturated fat (in red meat and full-fat dairy foods) and trans fats (in restaurant fried foods and commercially prepared baked goods) can lower triglycerides. Go for good carbs. Easily digested carbohydrates (such as white bread, white rice, cornflakes, and sugary sodas) give triglycerides a definite boost. Eating whole grains and cutting back on soda can help control triglycerides. Check your alcohol use. In some people, alcohol dramatically boosts triglycerides. The only way to know if this is true for you is to avoid alcohol for a few weeks and have your triglycerides tested again. Go fish. Omega-3 fats in salmon, tuna, sardines, and other fatty fish can lower triglycerides. Having fish twice a week is fine. Aim for a healthy weight. If you are overweight, losing just 5% to 10% of your weight can help drive down triglycerides. Get moving. Exercise lowers triglycerides and boosts heart-healthy HDL cholesterol. Stop smoking. It isn’t good for triglyceride levels — or for anything else. It is good advice to watch your lifestyle as these new treatments hold a lot of promise but who knows when they will be finally proven and safe to be used by thousands of people? It is true that the safe way to cut your heart attack risk is to lower your consumption of bad fats, control your sugar intake, lose some weight (healthily) and keep active. I did not know that alcohol can be a problem for some people’s triglycerides so thanks for that information. if i use this new injection for lowering tryglycerides is there any reaction or side effects while i am daily using injection for sugar.also i am taking statin drug daily. pls reply me. thanks. follow your elders. Eat in moderation, eat more fresh and original and less processed food, eat everything (except when specifically forbidden) your vitmans and minerals should come from food and not tablets, move all your joints and contract all your muscles all day long dont think walking 30 minutes and sitting rest of the day will do (in many cases it may not help). enjoy cat nap in the afternoon, stroll after dinner, start your day as early as possible. Enjoy time (especially on playgrounds and outdoors) with family, friends, grand children rather on social media (remember machines turn you into machine) You will not just live to be hundred but would be enjoying it. Milions who follow this around the world are a proof. Most of us cant afford of all this but the more you follow this the more likely you attend your grandchildren’s wedding in style. Your comments were something we have repeatedly read and been told throughout having endured these problems. Unfortunately for the majority of us other issues do not allow for such simple solutions. Multiple other medical problems prohibit aerobic exercise, etc. Easy to say, and impossible for many. My theory is that we are the products of physiological evolution. Prior to the early 1900’s my ancestors came to this country after a life time of famine, subsisting on fats and carbohydrates to survive. Their bodies adapted to survive, and today ours are still ready to exist on lard, breads etc. no matter how many chemicals, statins or drugs we ingest. Our lifestyles no longer reflect the centuries of famine the people who came before us endured, but our bodies have. I do not believe we can change hundreds of years of adaptation on a dime with any drug or chemical. Changes in activity as children can help, but it is too late for most of us who grew up in families where the diet was similar to what our parents consumed and those before them. Patterns set then established where we are now, added to it by other issues which prevent dramatic changes in our lifestyle. Half of all the sudden deaths from the first heart attack showed the victims had normal levels of cholesterol. That is not the whole problem. The problem is inflammation narrowing the blood vessels and hardening them so any debris in the blood stream, whether cholesterol or a random clot is going to provoke the same result. It would seem to me that addressing inflammation would be essential, but there is little going on that can be tolerated by a geriatric population with the current treatments exacerbating ulcers and other serious medical issues. I don’t think we can avoid our heritage, but for the younger population early enough intervention can modify their activity level and diet so that the problems we face today are not waiting for them in the decades ahead. Those of us already in this situation are literally stuck with it because there is so little we can do to affect change. That I have lived to age 75 in spite of serious side effects from statin drugs is almost in itself unexpected with as many pharmaceutical allergies as well as food and airborne ones compounding the problems associated with being handicapped and limited in so many ways. 30 yrs ago I was struck by a run away car as I was standing on a sidewalk, and have managed to rehab sufficiently to return to work for another decade before my injuries ended that. I know a great many in my situation, and our medical providers must realize the struggles we face every day rather than just write another prescription for the next miracle drug that only makes our day to day lives worse. Over the past decade every medication tried for high triglycerides has either failed, made the numbers worse, or caused such severe side effects discontinuance was the only option left. My internist said that genetic predisposition makes this problem the most difficult to treat, and I am truly worn out trying to correct this problem from consuming skim milk, low fat dairy, etc. to trying every new drug that comes along. The latest: 1500 mgs of krill oil raised levels to well over 500. Pravachol never helped triglycerides, but did keep total cholesterol levels in check until a reaction to that drug forced discontinuance. I am ready to give up. It may be true that animals are fed grass and grains but that is what they eat. Cattle are not going to eat meat-they eat plant materials. Corn will allow faster weight gain for a bovine than grass as it is higher in calories than grass-more protein. what drives weight gain is the number of calories taken in not the number of grams taken in so an 1800 calorie diet from carbs fat or from protein will affect your weight the same way. The post by Amanda registers a point against Carbs —BUT why insist that fats one consumes should be Saturated ones !!! One should go for unsaturated fats with same 9 Cals per Gram. Only then fat consumption can beat Carb consumption . My triglycerides are over 2500 , yes I said 2500 . I’m on enough medication to choke a herd of cattle !!! I had a MI in 06 , and have since had 6 more stents . I am diabetic type II ( with insulin injections daily ) . 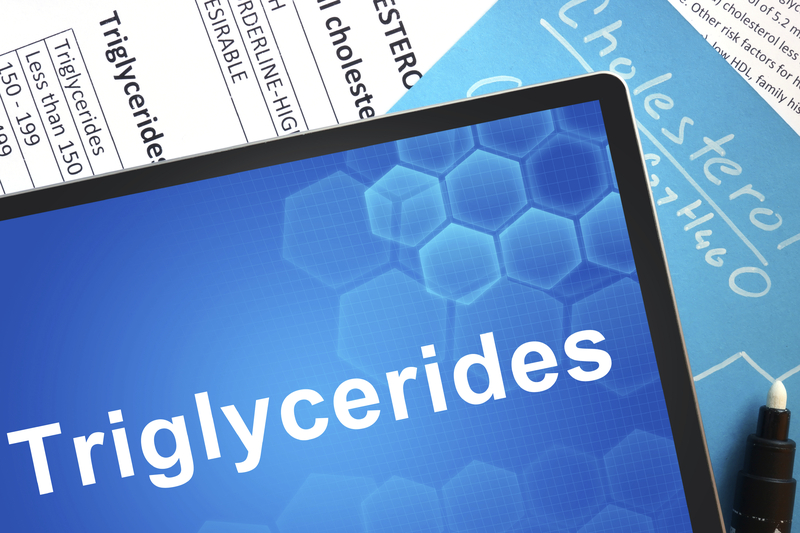 How can I get my triglycerides done to safe levels ? I’m ready to stop all this medicine !!! Any help ????? 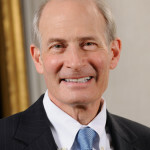 Bob, read Total Health by Dr. William Davis. 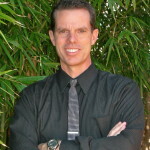 He is a preventative cardiologist who has amazing success with patients in improving their lipid profiles through a grain-free, low carb and low sugar diet. He also wrote Wheatbelly, but Total Health has his most recent recommendations. Hi Bob, Sorry to hear about your health. The conclusion I’ve come to after extensive review of the evidence is to eat more plants, less animal products. Flax seeds in particular have been shown in several studies to lower triglycerides and blood pressure. The scientific evidence for a plant based, whole foods diet is very compelling. 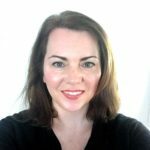 Here is a link to NutritionFacts.org specifically dealing with lowering triglyceride levels: http://nutritionfacts.org/?s=triglycerides Each short discussion in this collection of video articles cites and links to the peer reviewed research publications so you can check out the sources yourself. Good luck. Also worth noting that fat benefits from dairy and meat products are very likely to be increased when animals are raised organically and are grass fed. Sorry but your rational here behind your advice here is not only wrong but extremely dangerous. A diet absent in saturated fats (like the ones the American heart association promoted), usually was considerably higher in the carbohydrates department coming from whole grains. Fat has 9 calories per gram whereas carbs have 4. So if were aiming to eat say 1800 calories per day, that’s over double the amount of carbs we’d to even reach that goal. If people start consuming that in whole grains, (which many of those studies did over the past 40 years), we now have more cases of early death, cancer, and CVD. Remember why farm animals are fed grains? To fatten them up quicker to get them ready for slaughter. Grains fatten things up, and to think their effect on humans is any different is completely asinine. People who substitute saturated fat with whole grains have higher triglyceride counts as many of those studies shown over the past 40 years. If this is in fact true, then you need to provide reliable information, not information from failed studies over the course of 40 years. Very nice Amanda. Thanks for a sense-full, caring response.